HomeCaulk/Caulking Tools Black Out Pest Control Straw Foam 12 oz. Black Out Foam is a one-component polyurethane foam sealant designed to seal and fill small gaps, cracks and voids. This creates a tight barrier against moisture, air and pest infiltration. 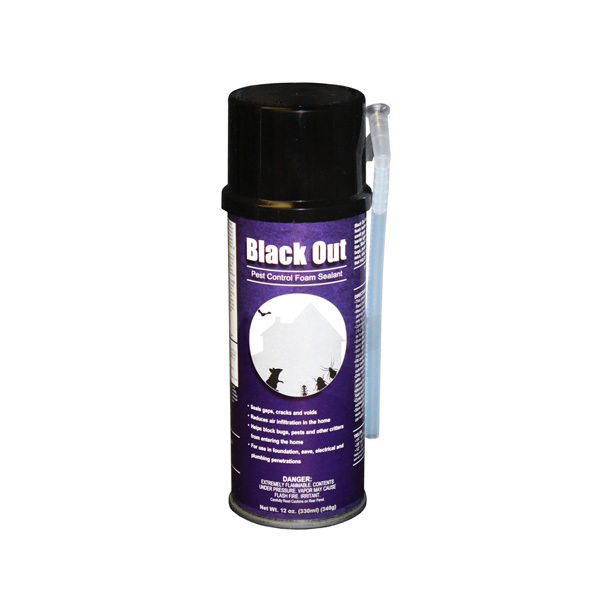 Black Out helps to block bugs, pests, wildlife and critters such as birds, squirrels, mice, rats, bats, snakes, bugs and many other pests that may try to invade your home.